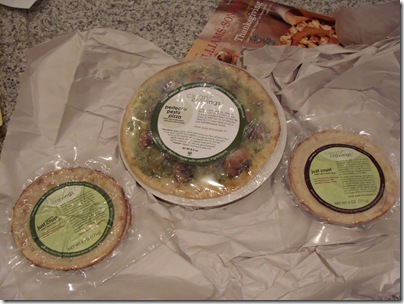 Shelly, from Clean Cravings, contacted me a few weeks back and had asked me to kindly sample her new gluten free line of pizza crusts. Pizza? YES PLEASE! Of course I jumped on the offer! While we are not a gluten free home, we do tend to purchase and eat food that are gluten free. 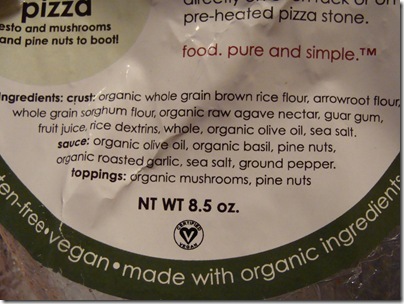 Not only are Clean Cravings pizza crust’s gluten free, they are also made without wheat, dairy, casein, yeast, soy, corn, sugar, peanuts and nightshade vegetables – wow! That’s a lot of products that are not included. So, how do they taste? 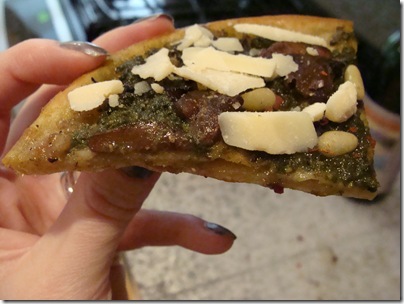 She sent me her Pesto pizza to try, along with some plain pizza crusts called Just Crust’s. 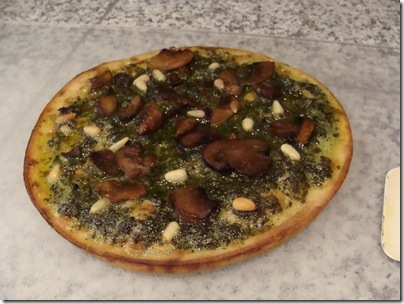 I had the chance to bake the Pesto pizza a few days back. I couldn’t believe it was gluten free! The crust was crunchy and flavorful – not sticky or dense in the least! The pesto was a bit on the greasy side but Shelly had informed me that they have made a new pesto recipe and it is less greasy – thumbs up! I had a piece plain, then I proceeded to top it with crushed pepper flakes and some shredded pieces of parm. I ate 3/4 of it! And just look at the ingredient list: plain and simple. Just how I like it! So for my readers, Shelly is giving a code to take off 20% of the order price AND free shipping on Just Crust’s! 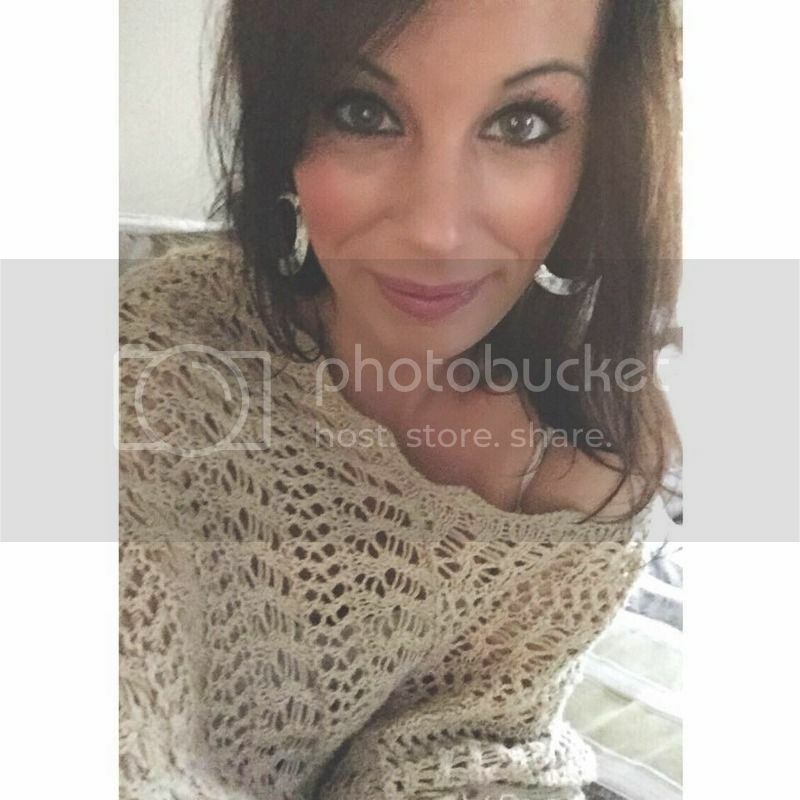 The code is CLEANMAMA – it is available through December 2nd! But don’t take my word for it, order some crust’s or premade pizzas today! You will not be disappointed! Mmm … looks really good. Great ingredient list too! Gluten Free pizza, looks delicious.